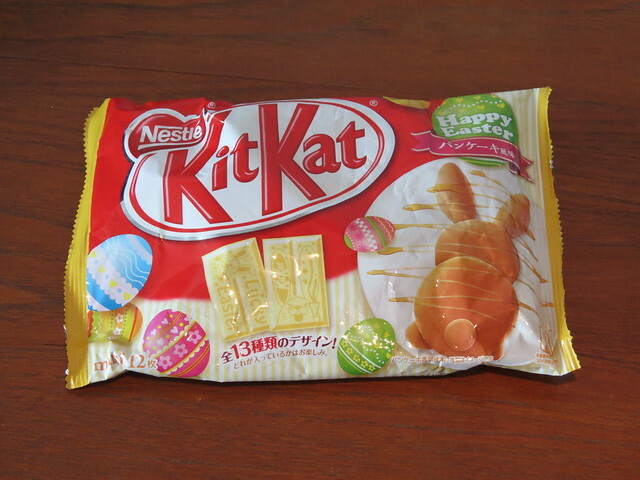 For the first time ever this year, Kit Kat Japan released an Easter themed Kit Kat! 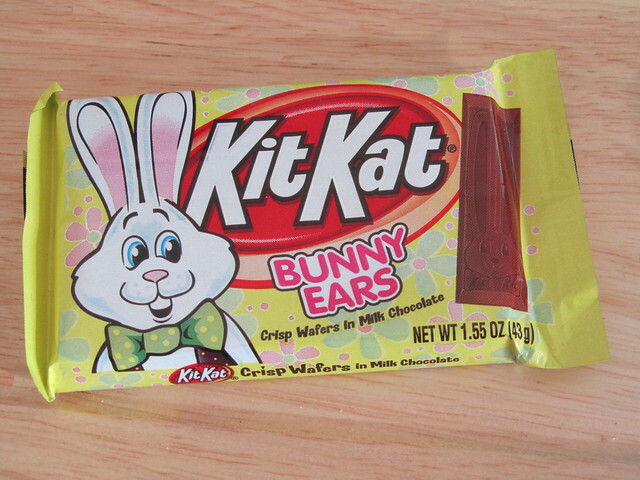 Easter’s not really celebrated in Japan, but the cute bunny-themed Kit Kat was brought out to coincide with the start of the Japanese business and school year rather than the religious festival. 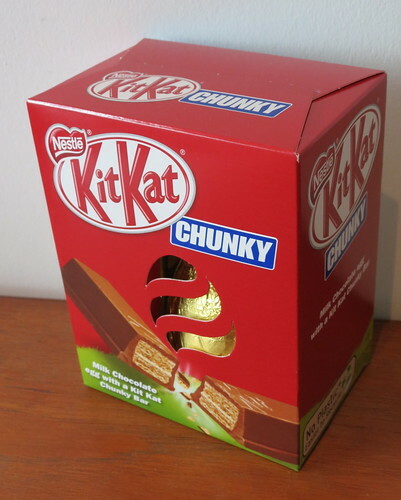 Japan loved a play on words, and the idea behind this product was that ‘Easter’ sounds like ‘ii sutaato’ (いいスタート) which means ‘good start’. 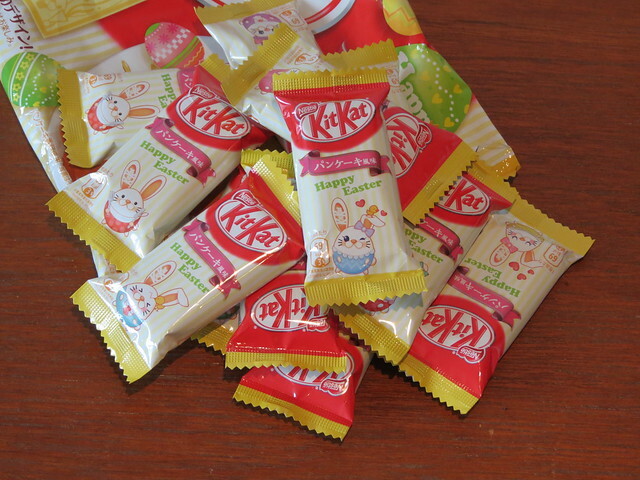 In the top right corner of the packet there is a message saying 「イースーターで、いいスタートを！」which means something like ‘Have a good start at Easter!’. 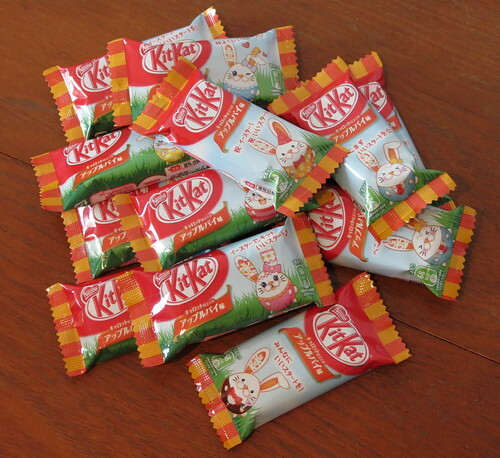 The Kit Kats are mini-size and very sweet. 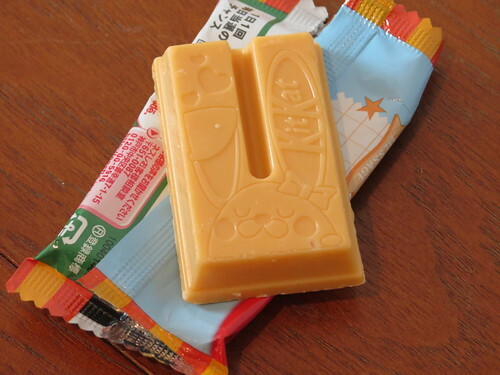 I’m not sure they really taste of apple pie and carrot, but they are orange in colour and taste of sugar. 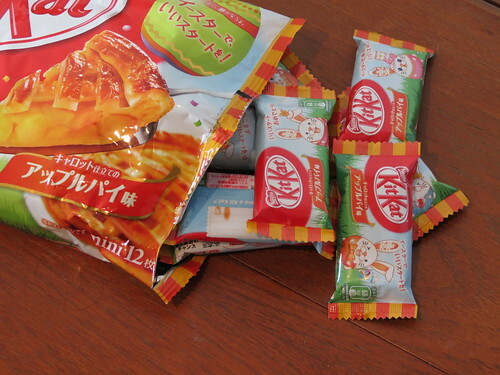 There are apparently 13 different designs, although not all will feature in each pack. 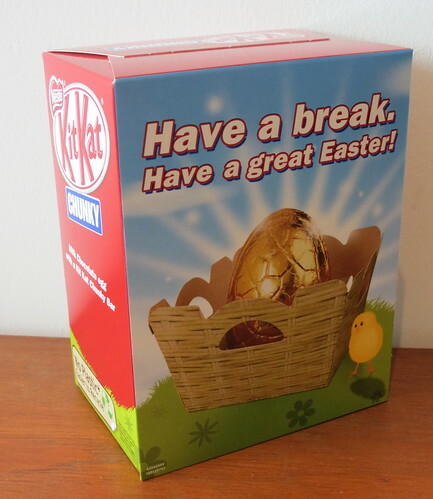 The chocolate itself has different designs on it too, and there is apparently one design that says ‘Lucky Easter’ on it, which is like the golden ticket of Kit Kat messages. 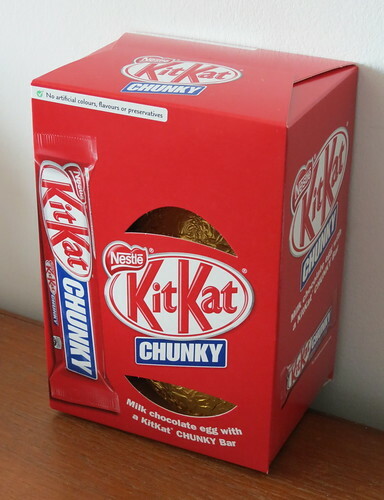 Kit Kat really need to come up with something a bit more creative for their Easter Egg designs – this is almost the same as last year! 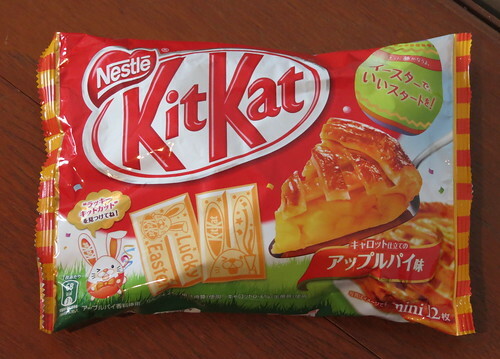 It was very cute, but tasted just the same as a normal (American) Kit Kat – i.e. 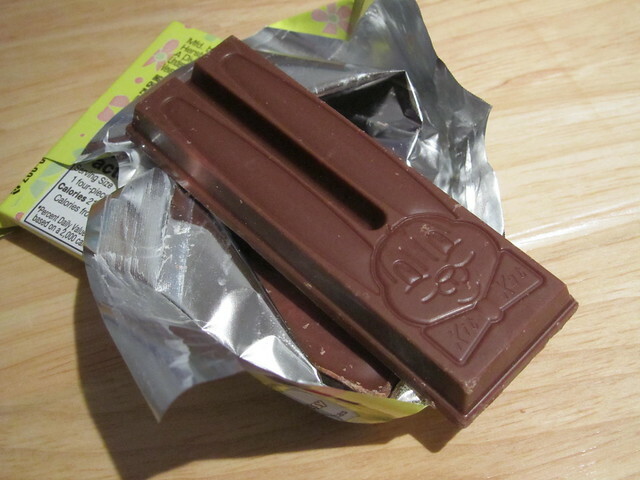 Hershey’s not Nestle chocolate. 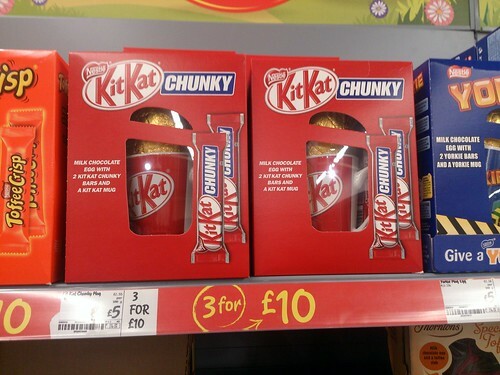 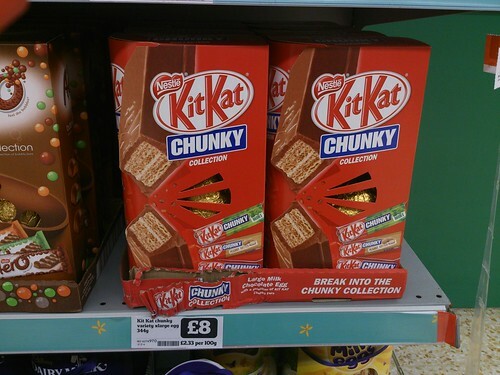 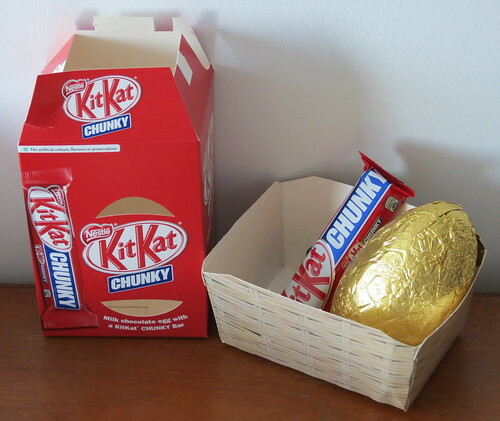 I spotted three varieties of Chunky Kit Kat Easter eggs this year. 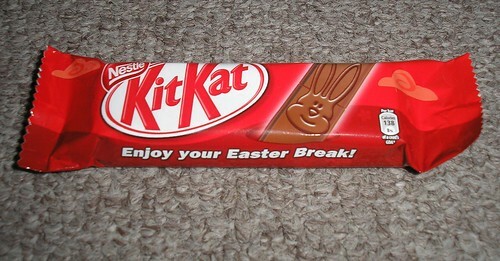 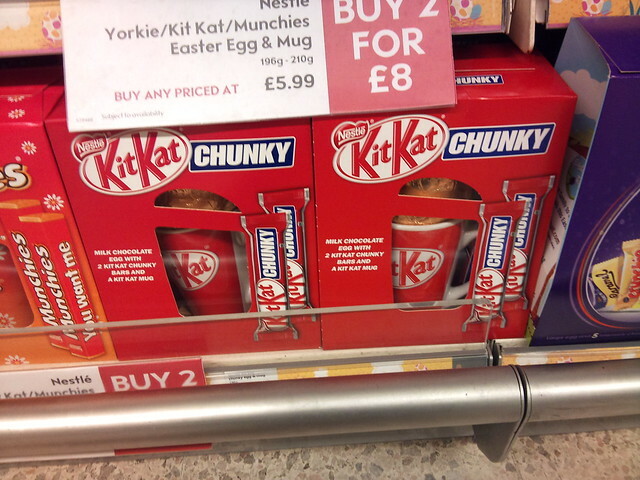 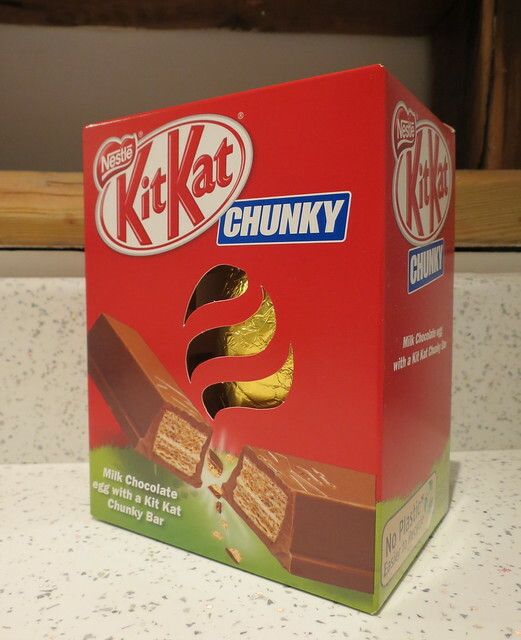 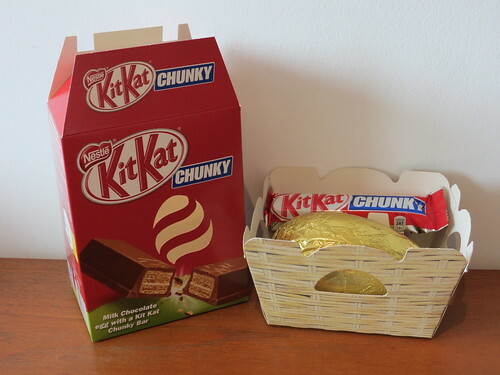 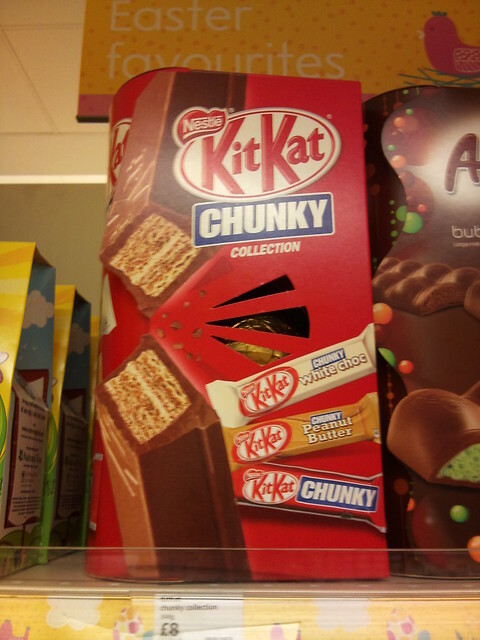 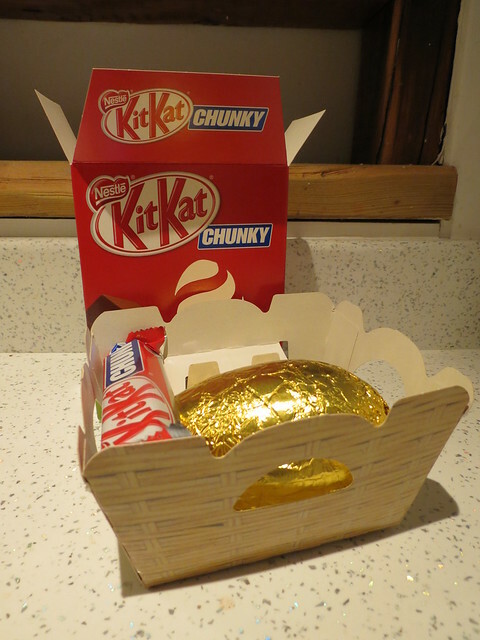 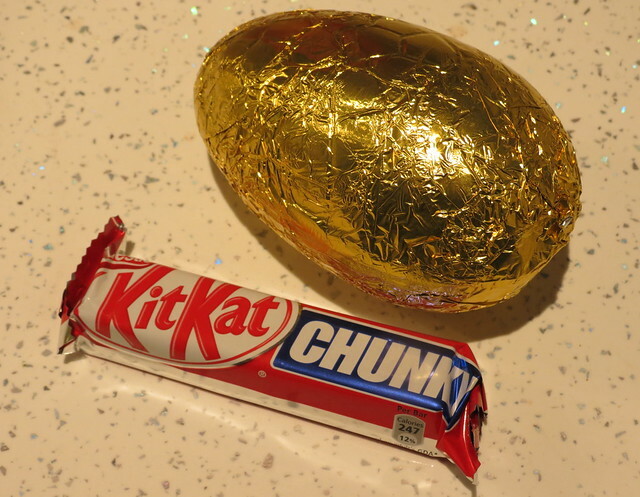 Easter Kit Kat (UK), originally uploaded by Haiku Girl. 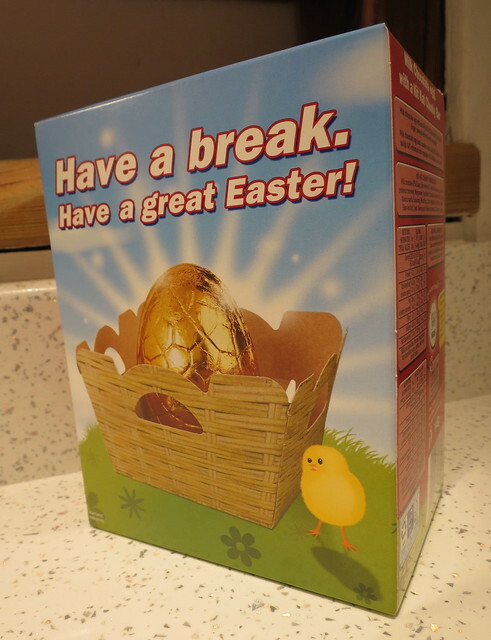 Bought at the end of 2009 – a little early for Easter!